A friend of mine and I have an ongoing debate about which snubby is uglier, the Centennial or the Bodyguard. The camel hump hammer shroud on the back of the Bodyguard’s frame, while eminently sensible, has never appealed to my eye. However, it is completely functional. The hammer shrouded Bodyguard, unlike the Centennial, remains snag-free for pocket carry while allowing for single-action fire. The hump also helps the Bodyguard to stay in position when carried in a pocket holster. The Bodyguard is unusual in one way, in that it was introduced first in the Airweight version as the Bodyguard Airweight in 1955. It later became the Model 38 in 1957. The steel frame Bodyguard was introduced as the Model 49 Bodyguard in 1959. The original Bodyguard “Pre-Model 38” was built in the “four screw” configuration. In 1985, the Model 649 was introduced. It was a stainless steel version of the Model 49, and it was built until 1996. 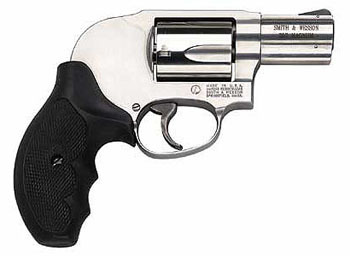 In 1997 the Model 49 was discontinued in favor of the stainless Model 649 in .357 Magnum. In 1989, The Model 638 Bodyguard Airweight Stainless was introduced. This was an aluminum alloy and stainless steel version of the original Model 38. 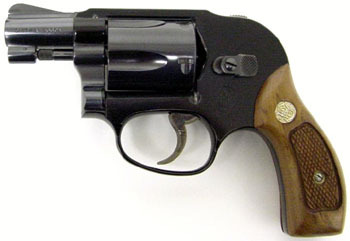 Also in 1989, the Model 638-1 was produced. It is distinguished from the Model 638 because it as a 1/8″ sight width. In 1996, the 638-2 was reintroduced on the “J-Magnum” frame. The J-Magnum frame is identical to the original J-frame except for the fact that it is 1/10″ longer, to accept the .357 Magnum cartridge. Even the .38 Special guns produced from this time forward are built on the J-Magnum frame. In 1997, the Model 649-3 was introduced. This was a stainless steel Bodyguard chambered in .357 Magnum built on the J-Magnum frame. Perhaps the most infamous photograph of a pistol from the Twentieth Century involves the Smith & Wesson Bodyguard. It was awarded the Pulitzer Prize in 1969. 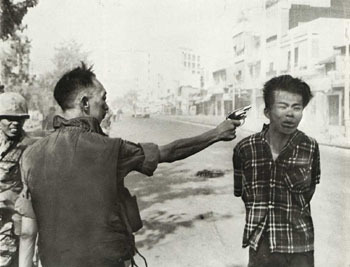 It is the picture of South Vietnamese General Nguyen Ngoc Loan shooting a Viet Cong captain named Bay Lop in the head. I hesitate to bring up this incident, but at the same time, it is impossible for me to chart the history of this hand gun without acknowledging this moment in history. Regardless of this tragic episode, the Smith & Wesson Bodyguard has rendered exemplary service for fifty years and remains a favorite to many in the pocket gun/backup class of self-defense weapons. © 2011 - www.snubnose.info - No part of this site may be copied or reproduced without permission.